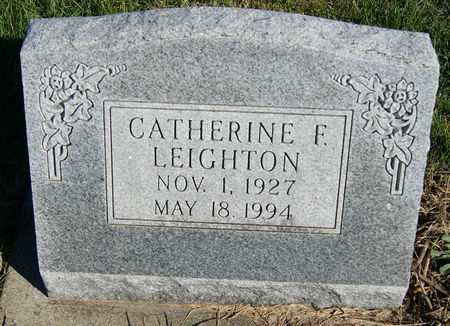 Catherine Fern Leighton, daughter of Harold Osborn Leighton and Grace Celestine Filbert, was born Nov. 1, 1927 in Gravity, Taylor Co., Iowa and died May 18, 1994 in Corning, Adams Co., Iowa. She never married. Searching for CATHERINE FERN LEIGHTON in Taylor County Iowa?